117 anime images in gallery. 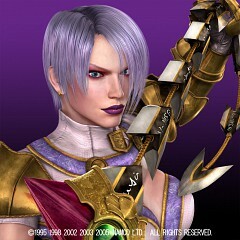 Tagged under Soul Calibur, Queen's Gate, Sawashiro Miyuki and Toujou Kanako. Isabella Valentine (イザベラ・バレンタイン Izabera Barentain? ), commonly called Ivy (アイヴィー Aivī? ), is a fictional character in the Soul series of video games. 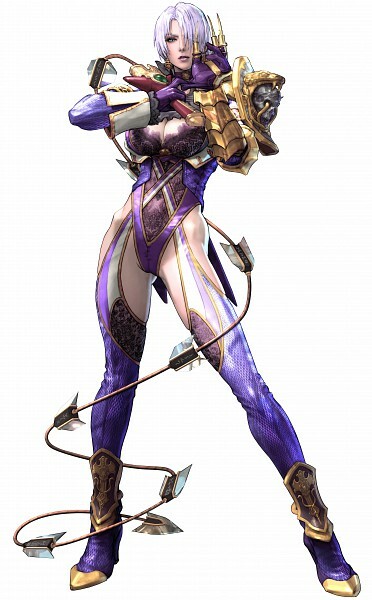 Created by Namco's Project Soul division, she first appeared in the original Soulcalibur and its subsequent sequels, later appearing in various merchandise related to the series. She was voiced in Japanese by Yumi Tōma until replaced by Kanako Tōjo starting with Soulcalibur Legends; in English, she was voiced by Renee Hewitt in Soulcalibur II and Lani Minella for the remainder of the series. The illegitimate daughter of undead pirate Cervantes de Leon, Ivy was raised by a noble family until her father became obsessed with the cursed sword, Soul Edge, leading to his death and later her mother's. Desiring to destroy the sword, she creates a segmented, animated blade, only to become Soul Edge's pawn and learn that it intends to use her as its next host. 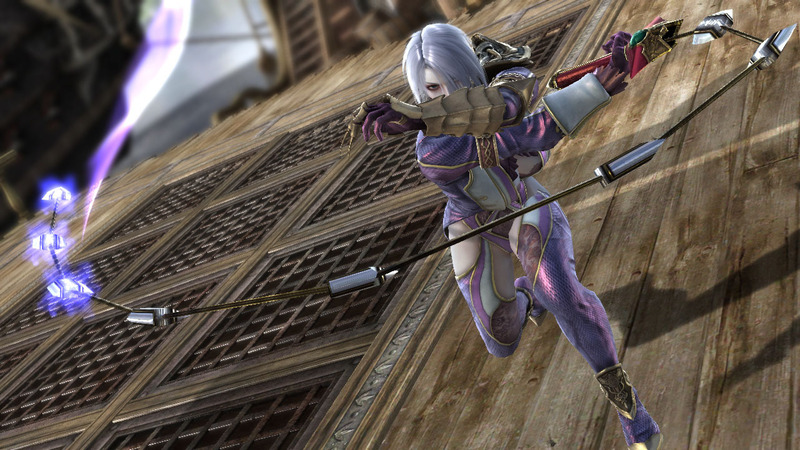 After an attack by Cervantes results in the loss of her soul, Ivy uses a temporary artificial one to keep herself alive, and continues after the blade. 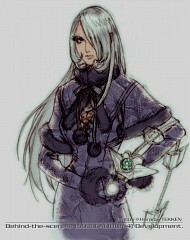 She also appears in Queen's Gate!